A quick and easy family favorite, our Chili Cheese Coneys dish up lots of flavor and are on the table in minutes. Sometimes our friends and readers tell us that it seems like we never eat simple fare. We beg to differ! Here is one of our favorite dinners to make on a cold and hectic day. Whether you call them Coneys or Chili Dogs, it seems like nearly every community across America has its own recipe for this family favorite. We top juicy frankfurters with mustard, chili and a blend of cheeses for a quick and easy meal the whole crew will love. Fill a sauce pan with 3 cups water and bring to a boil; reduce heat. Place hot dogs in water and simmer for 5 minutes. Meanwhile, preheat oven to 300°F. Warm buns in oven until slightly golden; remove from heat. In a small bowl, combine cheeses and set aside. Split open buns and drizzle with favorite mustard. Place one hot dog in each bun. 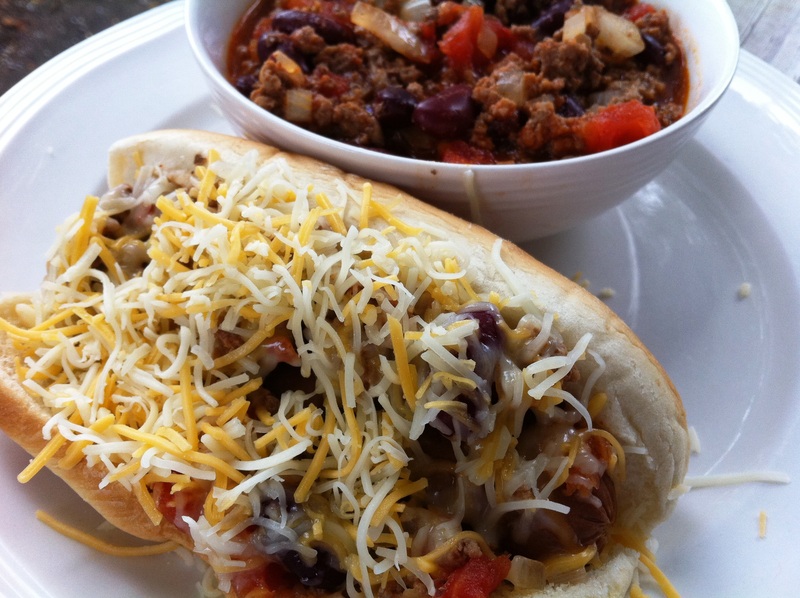 Spread about 1/2 cup of chili over each hot dog and cover with cheese. Serve with pickles, if desired.